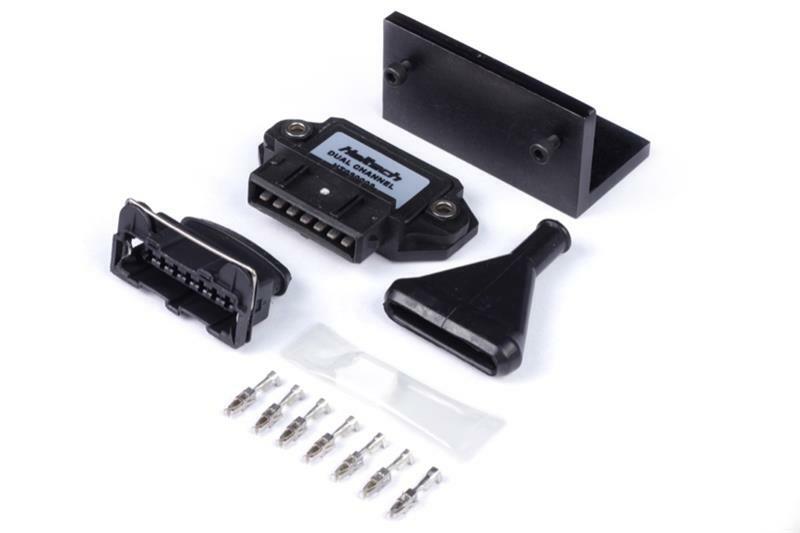 Haltech ECU Output - OEM Ignition Module UNIVERSAL - MiataRoadster - Stay tuned with MiataRoadster! Haltech has a range of OEM Ignition Modules available for use with our systems. Single channel, Dual channel and Three channel modules are available in an ecu-dwell format (ecu required to control dwell time). All variants are supplied with built in temperature protection and a maximum current limit of 9 Amperes. The Ignition module is an amplifier designed to fire an electronic ignition coil. The ECU ignition signal connects to the ignition module, which then fires the ignition coil. Suitable to fire one coil, commonly used in a distributor application. Suitable to fire two ignition coils, commonly used in a 4 cylinder direct fire wasted spark application. Suitable to fire three ignition coils, commonly used in a 6 cylinder direct fire wasted spark application.